Oh wow !! 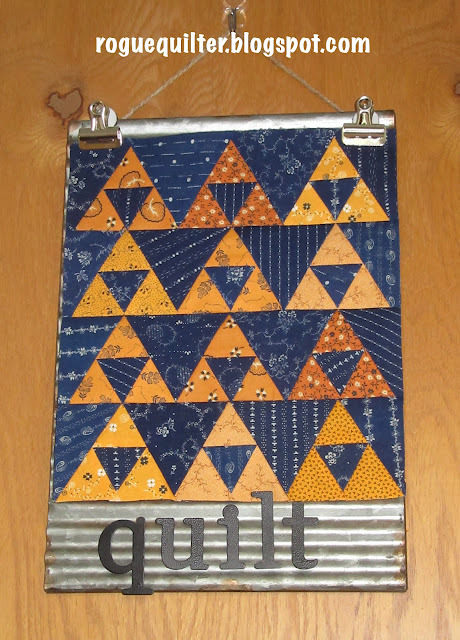 You're a busy busy quilter ! But as always, your projects are sooo beautiful ! Yes, love the indigo. The strings will keep another few years and still be in fashion:) The Scrappy Trips is wonderful....don't let it hatch and send you around the world! This is a great "man" quilt. 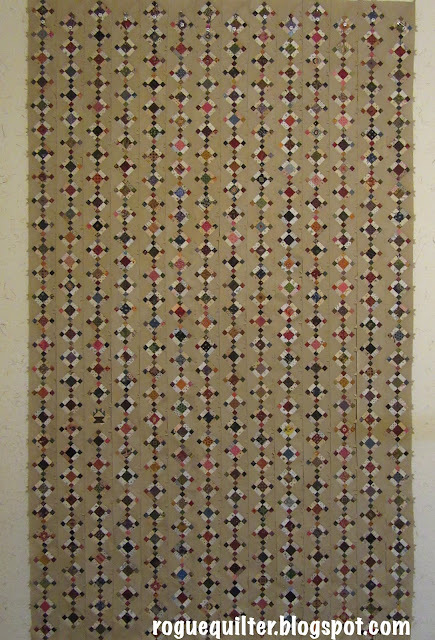 Your 1880 quilt....I can't count high enough to know the number of blocks, and I am going blind imagining your hidden rouge blocks, much less tackling sewing the rows together! LOL...okay I did spot the small basket block in the third row. Well done! Your circa 1880 blocks are beautiful. I'm ready to put mine together. love your indigo and cheddar - they do go perfectly together! Jill made a beauty many years ago. It was in fons and porter. Your nine patch rows are incredible!! OMG that is so many little blocks. I love the idea of sprinkling in some surprise blocks here and there. I always love a swap of any kind. Makes the finished quilt even more special! I'm sorry no one guessed "how many". I just found your blog and love it. My guess would have been 315 blocks. The idea of adding alternative blocks is a wonderful idea. 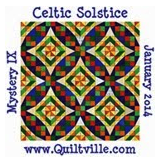 I love hunting and searching hidden quilt blocks. I love the little basket surprise! I made a mini quilt with those 2” basket blocks but NO appliqué handles! LO--I don't applique either, big or small!! 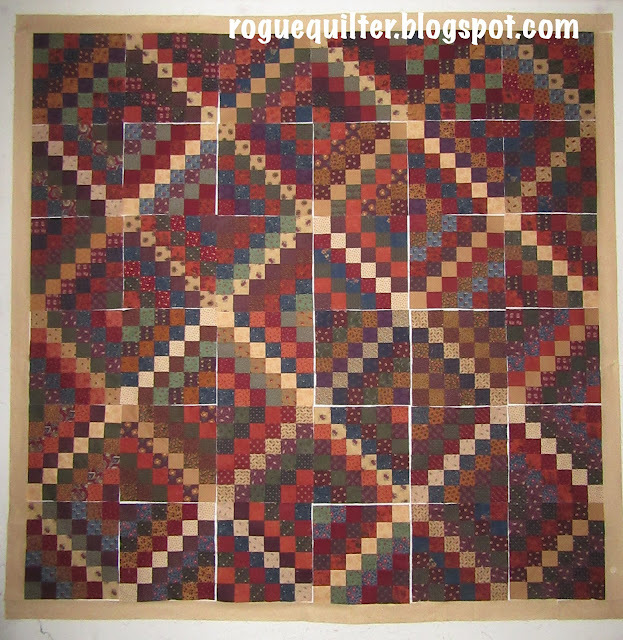 Well, of course the Rogue Quilter has to add some rogue blocks---lol! It is going to be an awesome project! I love your little indigo quilt too. It shows off those beautiful scraps perfectly. The Panama Pyramids quilt is on my bucket list, but maybe making a mini is more doable! Omg Janet, that's your practice quilt? (Indigo) Its so pretty and really shows off all the prints! I can't wait to see what you come up with for your "real" quilt. I'm so glad you are participating in this little challenge. I love your idea of little surprise blocks within the nine-patch quilt. It makes it so much more interesting and engaging for the viewer, and at the same time really identifies it as yours. another great post...you always inspire me! Thanks, Kelley. Your profile is set for "no reply", so I can't respond to you directly. I appreciate you kind comment. If every second row is swapped blocks, then you have made around 189 of these blocks? They are very sweet, but I love the fact that you are going to pop in a few more surprises blocks, that basket is just darling! Love the indigo and cheddar pyramids, another beautiful mini in the making. I do love the indigo and cheddar pyramid try-out, Janet. It's great. And of course your strings are looking good. I had to laugh when you said that you put some blocks BACK into the closet... I'd be the one to do that. I'm feverishly working on my 1880 blocks to get them done... it'll be after next week, after our trip to Arizona. Your little cheddar and indigo quilt is wonderful. One of my favorite combos. What a delight to play with vintage fabrics as well. The strings are fun with the black stripes to highlight the light and dark sides. But now its back in the closet. At least, you know it's there. Great idea to add the little surprise blocks. Busy ladies don't have much time to post on blogs - or read them - sometimes. I have had that problem too. I love your projects. The blue/cheddar is very striking - love it!! I'm working on strings too and love yours. I have never done them that way, but might in the future. I have been wanting to make the scrappy trip, but haven't done it yet. And the circa 1880 is amazing! I had never heard of it until I saw it on your blog. There aren't any shops in Oregon that are doing it. I doubt I would do it anyway, but it would be tempting!! You always make scrumptious quilts. My fav is the string quilt! The Blue and Cheddar is sew cute. I like your 1889 too. It's narrow like a twin size. You called this post a hodgepodge but it was more like a Christmas smorgasbord—one delight after another! Well, you stole my heart with the indigo and cheddar! Love at first sight! I couldn't count the blocks in those rows though I gave it a feeble attempt, you'll just have to keep it a secret til it's all assembled. 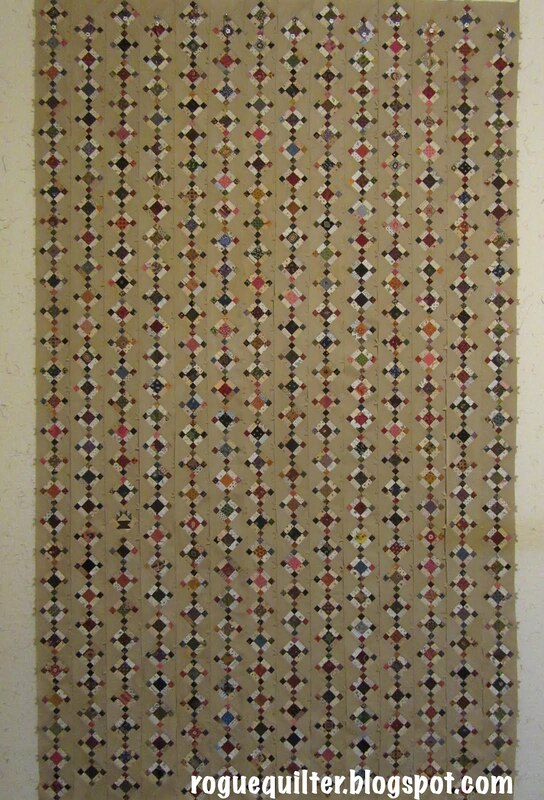 The Scrappy Trips is looking fabulous and I'm sure the KT border fabric you've ordered will work beautifully with it. Love the cheddar and indigo quilt!! And how neat that Sandy shared such an amazing treasure with you and friends!! Scrappy trips is sooooo much fun!! Is that going to be for your bed? What a concept!! And I found your rogue block (after a lookin' and a lookin'!!) That is truly an amazing work!! 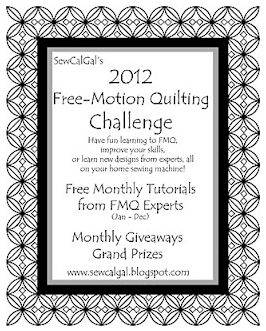 And don't let that string quilt languish in the closet again!! Treat it like a leader-ender project and you'll have a quilt in no time!! That's what I am doing with mine!! Actually, in my last post I indicated that I had made a lot more blocks than needed for the quilt. My total is 900 blocks! You inspire me! I have an Indigo and cheddar quilt in the works which I need to pull out and finish. I have the makings for a string quilt but I have not jumped on the string quilt band wagon because there are so many other quilts I want to make. The indigo and cheddar is beautiful! That corrugated metal thing behind is pretty cool, too. I didn't bite on the 1880 but it really is calling to me. Your idea of adding other tiny blocks is going to take it one step further. I'm so far behind in my blog reading!! I LOVE your little indigo and cheddar. Great minds must think alike because that was a color combo I was considering. Yes, that's right I haven't started mine, but I do have quite a few ideas. I absolutely love your idea of adding little surprise blocks to your c1880. What fun! I'm also working on a panama pyramid quilt but with EPP. I'm sure you guessed that. It's a low on the totem pole project so don't expect to see if finished soon - I'm sure your little pyramid quilt will be looooong finished before mine. I hate to say but I would put the string quilt back in the box after a long perusal as well - I like looking at them but not making them, no matter how pretty they are. 900 puss blocks = super star status!!! I ordered Kansa Troubles fabric online for the innner and outer border of my Noah and Matilda quilt. Like you, I had to trust that usually their fabric lines are pretty much the same shades of color from line to line. It turned out that I was not disappointed. Oh, Janet, your indigo and cheddar pyramids are gorgeous! Just beautiful! And now I have a better idea what color cheddar is. It seems I may have several pieces of it. Ha! It's interesting that the blue fabric is somewhat fragile and yet was used for clothing. You wouldn't think the clothing would last very long -- unless that fabric has become fragile over time. I burst out laughing at your statement that after looking at the string blocks you put them back in the box. Sometimes that's the best thing to do. Your Scrappy Trips blocks look so warm and inviting. They make me think of autumn. Your Circa 1880 blocks -- wow! Just wow! What a lot of work. And what a lot of fun and beauty, too! I had to enlarge your photo to see the basket. Great idea to add a few different blocks. I am totally in love with your little cheddar and indigo quilt! 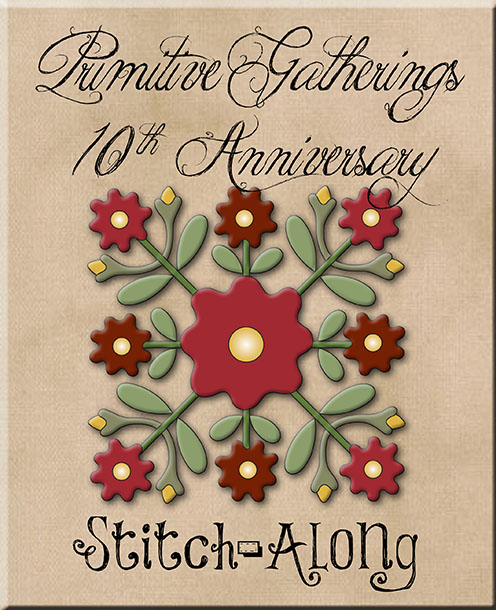 I had to laugh when you said your string quilt ended up back in the closet, I have a couple of those projects, I really just need to let them go. Love the idea of adding different 2” blocks to your 1880 quilt. I hope you find a border fabric you like for Scrappy Trips! I'm a big fan of blue and cheddar. Love your little test quilt.